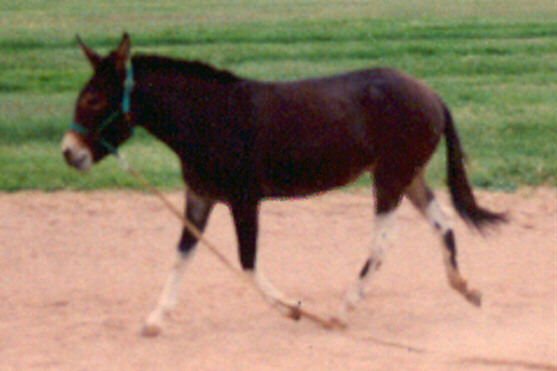 B&S Shy Ann is my brindle and white pinto pony mule. Her name came about as part of a joke as she is not at all shy. She was bred and raised by my mom. When she was a baby, my mom would take prospective buyers and friends out to the pasture to see all the animals. Shy got her name because she liked to stick her nose in and try to get petted by everyone. So my mom used to tell everyone "This is our little shy Ann" as a joke and the name stuck.